Norman Howard 84, of Calhoun, Kentucky went home to be with the Lord on Saturday, November 17, 2018 at the Western Kentucky Veterans Center in Hanson. Norman Fay Howard was born July 26, 1934 in McLean County, Kentucky to the late Cecil Fay & Ava Myrle Johnson Howard and was married to the former Lue Belle Troutman on June 13, 1952.. He was an Army Veteran, a life-long farmer, and member of Pleasant Hope General Baptist Church. 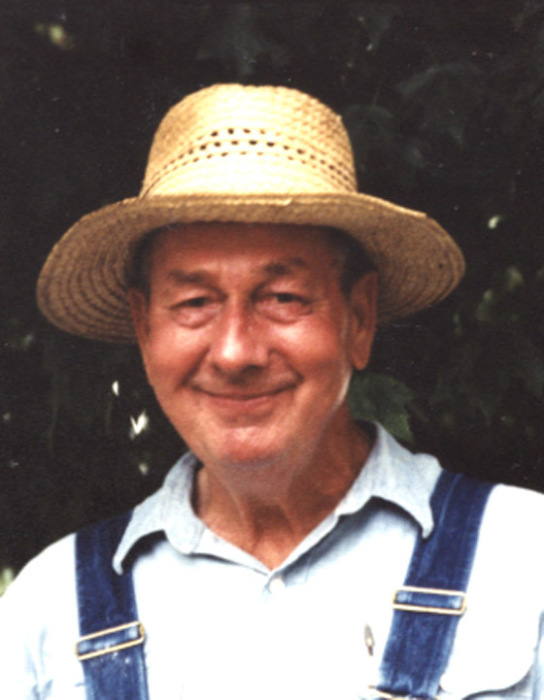 He enjoyed collecting various antiques and loved Blue Grass music. Norman was preceded in death by two sons; Norman Allen Howard, in November of 1984, and Lance Lee Howard, in May of 2018. Survivors include his wife of 66 years, Lue Belle Howard; four grandchildren; Teresa Walla of Indianapolis, IN, Amy Hardin of Chesterfield, IN, Kathy Nethaway of Milford, IN, and Kim Likens of North Webster, IN; four great grandchildren; two step great grandchildren; and several nieces and nephews. Funeral services will be held at 11:00 A.M. Tuesday Pleasant Hope General Baptist Church with Rev. Steve Dame and Rev. Tracy Burnett officiating. Burial will be in the Pleasant Hope Cemetery in McLean County with Military Honors conducted by the McLean County Veterans of Foreign Wars Memorial Post #5415. Friends may visit with Norman’s family from 4:00 P.M. until 7:00 P.M. Monday and from 9:00 A.M. until 10:30 A.M. Tuesday at Muster Funeral Homes, Calhoun Chapel. The Norman Howard family requests that expressions of sympathy take the form of donations to the Pleasant Hope Cemetery Fund; C/O Tom Howard; 3583 Kentucky 136 East; Calhoun, KY 42327. Memorial contribution envelopes will be available at Musters in Calhoun. Share your memories and photos of Norman at musterfuneralhomes.com.